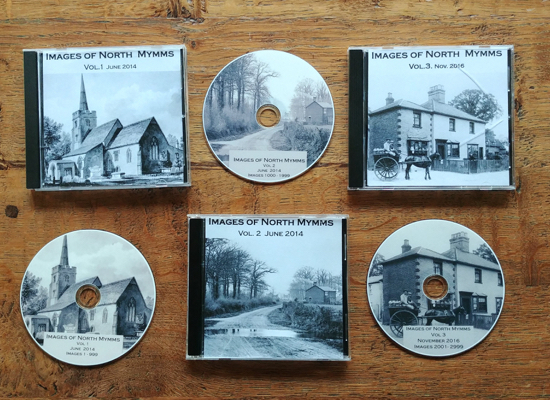 North Mymms History Project: Was Little Miss Muffet a local girl? 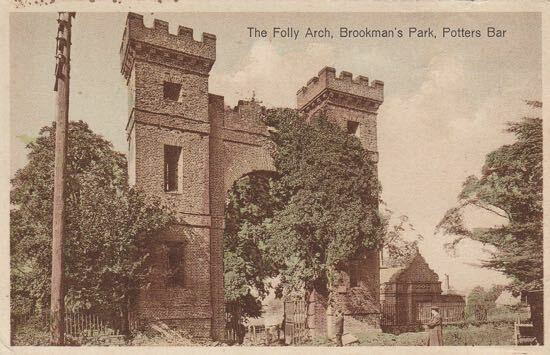 So, did Little Miss Muffet live at Moffats Farm, Moffats Lane, Brookmans Park? And was the nursery rhyme written by her father to amuse her? Australian journalist, Eric Shackles has been investigating. The website also shows a page of colour photographs of local insects (embedded below), most of which he would have recognised, for he was a famous entomologist, who wrote The Theatre of Insects, the first scientific catalogue of British native species. A second theory was that Little Miss Muffet referred to Mary, Queen of Scots (1542-1587), who was said to have been frightened by John Knox (1505-1572), Scottish religious reformer. The rhyme might then have been “Along came John Knox / That wily old fox..” The 1812 edition of Songs for the Nursery has a rhyme telling us that Little Mary Ester sat upon a tester. Thirty years later, Halliwell's 1842 collection included Little Miss Mopsey sat in a shopsey. 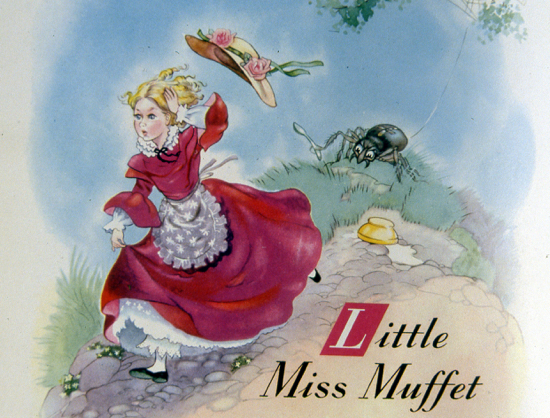 The Little Miss Muffet mystery was revived in the London Times (June 2001), in an article headed Riddle of Dr Moufet's vanishing mole kricket. Mark Henderson, the newspaper's science correspondent, and Mia Jarlov wrote: "The mole cricket (Gryllotalpa gryllotalpa) was named in 1634 by the entomologist Thomas Moufet (from whom Little Miss Muffet got her name) in The Theatre of Insects, the first scientific catalogue of British native species. The name comes from the spade-like front legs with which it makes underground burrows similar to miniature molehills. "This once-famous 16th century naturalist got the notion that spiders were not only beautiful but therapeutic," it claims. "He turned a bunch of them loose in his house and when his little daughter got sick, he emptied a sackful of them on her head and body, thinking they would make her well. They didn't. She was terrified. The father was Thomas Muffet, the daughter the real-life Little Miss Muffet." which is referred to by Eric in his footnote below. 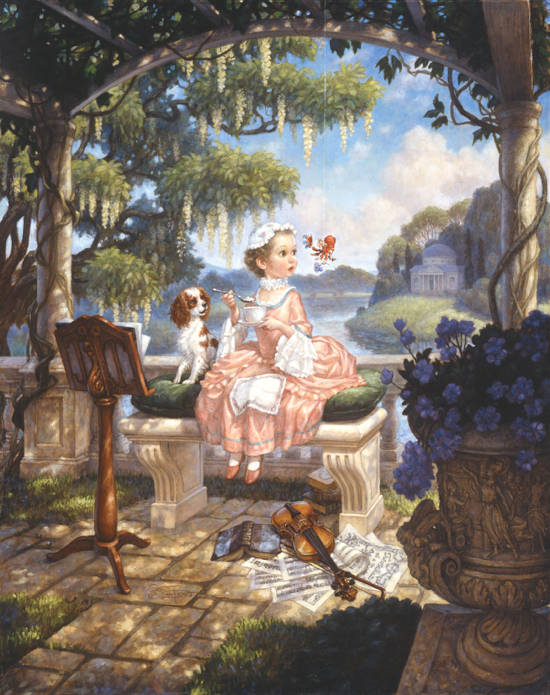 Footnote: There's an enchanting painting of Little Miss Muffet by Scott Gustafson on the Internet. The caption reads, "There are so many light and interesting touches in this beautifully colored and bordered work. She sits in a formal garden of the 18th century, next to her faithful King Charles Spaniel. A suave little spider has come to 'sit down beside her' but perhaps this Miss Muffet will not be frightened away. Scott says: 'The sheet music at her feet is a Tarantella, a popular dance of the period that, according to folklore, when danced wards off the effects of the venomous bite of a tarantula. Whether or not that's true I don't know, but it was a nice musical tie-in to the spidery theme I was painting." Online editor's note: Eric Shackle gave permission for this article to be published online. Eric, a retired journalist, spent much of his later life searching the internet and writing about what he found. He has been published by the New York Times (U.S.), Toronto Globe and Mail (Canada), Sydney Morning Herald (Australia), and Straits Times (Singapore). He published a free e-book entitled 'Life Begins At 80'.